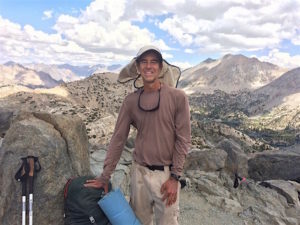 Paul Nussbaum continues his epic trek on the Pacific Crest Trail, highlighting autistic abilities. He’s been at it for 3 1/2 months! Go to → expedition-autism.com ← or Click HERE to follow his latest journal entries and see cool pictures! And send him good vibes to help him on his challenging and big-time helpful way! 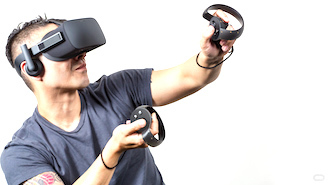 ALSO, in place of the usual Job Club this month of October, instead register for the October 20 AASCEND Conference → (Click HERE) ← and show up there to join in the proceedings and festivities: There will be Hollywood Hijinks, Virtual Reality, Autistic Improv, Live Music, Food and Much More! There are still some free grant-sponsored tickets available. Act fast to reserve your spot, and tell a friend. It’s time again for AASCEND‘s annual potluck picnic in the park Saturday September 15. All are welcome for an afternoon of informal socializing and games with our community. 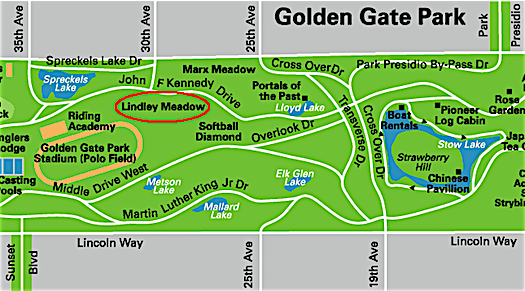 This year’s picnic will be held at Lindley Meadow in Golden Gate Park. We will have food and drink, but bring something to share if you can. No RSVP is necessary. Set-up begins at 11:00 AM. Do you feel like you’ve hit a wall in your job, and are looking to transition? Have you lost a job and need to find a new one? Are you leaving a school environment and transitioning into the job world for the first time? At AASCEND‘s Sept 8 Job Club, Mary Hurlbut, a transition specialist and autism advocate in the Bay Area will lead a discussion on making effective transitions in the job world. She will draw from her work with individual transitions over the past decade. 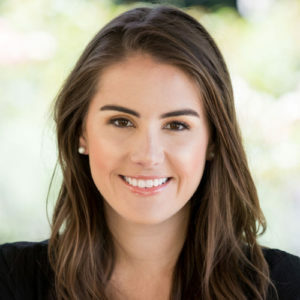 Mary Hurlbut is a Bay Area based Transition Specialist and autism advocate with a Master’s in Education from Stanford University. 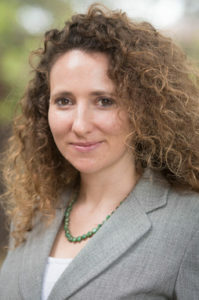 With a deep belief in the value of neurodiversity, she works with students, adults and their families to help them prepare for and navigate small and large life transitions. Mary focuses on engaging and accommodating each individual’s unique cognitive qualities and capacities whether pursuing education, employment, residential independence, social integration or more. Mary will provide advice and resources and answer questions about transitioning toward a personally fulfilling and socially meaningful pathway. 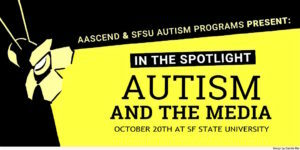 AASCEND 10th Conference October 20! NO Job Club August 4. 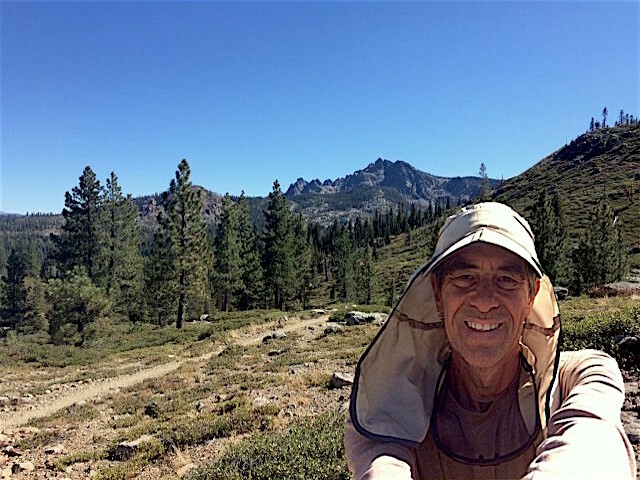 Paul Nussbaum’s Aug 4 check-in from PCT HERE. 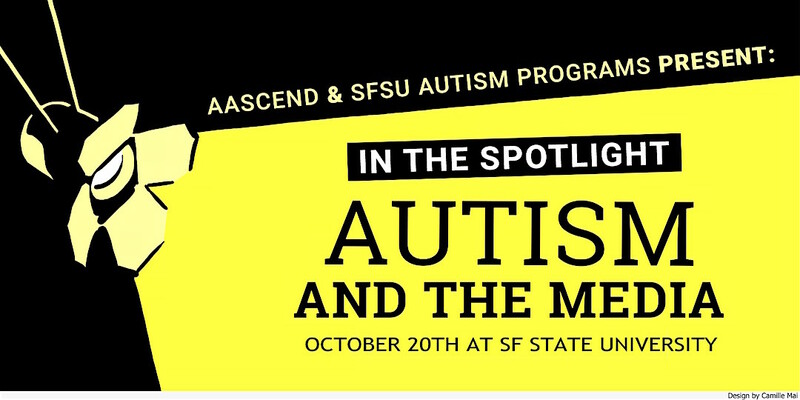 AASCEND, with SFSU’s Autism Spectrum Studies Program, hosts its 10th conference on adult autism October 20 at SF State. Join us for a day of exploring the adult autistic world, with artists and presenters on and off the spectrum! The influence of media has exploded, changing the world of autism. Autistic roles now feature prominently in movies, television and online, shaping and even distorting public perception of autism. At the same time, media literacy and media skills have become essential tools allowing autistic people to gain employment, find friends, and express themselves. The In the Spotlight conference exposes how media affect autistic life and employment, and gives practical guidance on effective social media use, creating digital content, autism-friendly acting techniques, latest research and much more! In the Spotlight features Charlene Tilton, star of stage and screen and longtime President of Actors for Autism. Charlene is famous not only for her portrayal of Lucy Ewing on the influential television show Dallas, but also for her contributions to the autism community. Although Charlene’s life was often glamorous on screen, she had to learn to fend for herself at an early age. After her Dallas role brought her fame, Charlene was moved by personal tragedy to connect with Actors for Autism and soon became their president. At AFA Charlene witnessed the power of acting and improvisation in developing language, social skills, and self-confidence in both children and adults on the autism spectrum. ..and also Thomas Iland, diagnosed with autism when he was 13 years old. Tom worked hard to achieve his goals: learning to drive, living on his own, graduating from college, obtaining full-time employment and having a girlfriend. 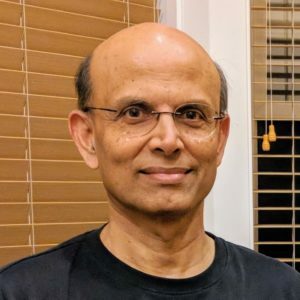 Now a Distinguished Toastmaster and member of the National Speakers Association, Tom is a best-selling author with wide experience in the media, having appeared on such TV shows as Beauty and the Geek, Bert the Conqueror, Ghost Whisperer, The Morning Blend, The Price Is Right, and Wheel of Fortune. Tom currently lives in Santa Clarita, California, with his dog, Bridget. 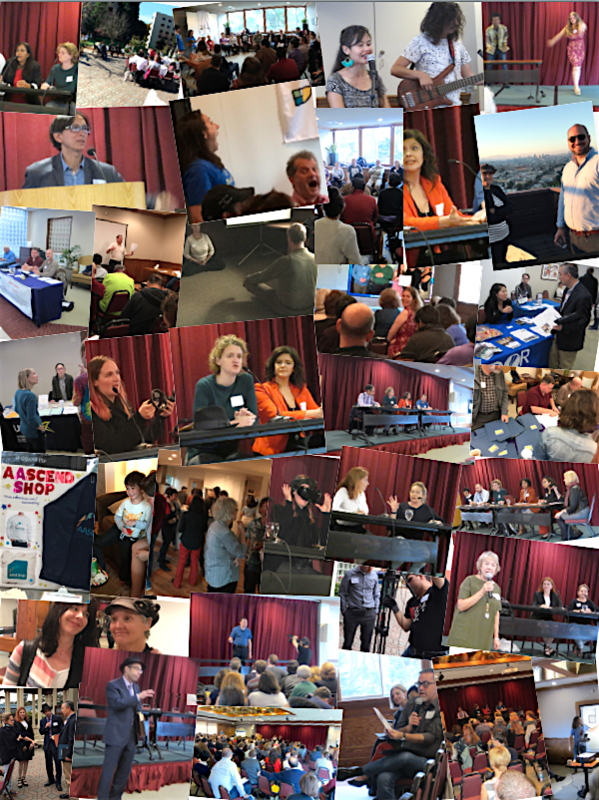 Hollywood’s Autism Fantasies: Michael Bernick, former head of the California State Labor Department, moderates a panel of theater professionals and academics on and off the spectrum, exploring how Hollywood’s portrayal of autism affects autistic life and employment. New Research and the Future of Autism Scholarship, presented by autism professionals and graduate students, many on the autism spectrum. 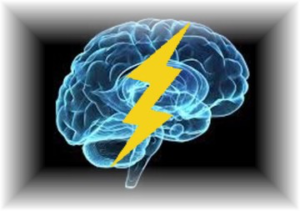 Hear what current research reveals about adult autism, plus developments enriching the lives of autistic adults. Learn about academic careers and training available to autistics and to all interested in the future of autism. Ticket price includes lunch and refreshments, and there will be live entertainment by artists on the autism spectrum. Conference registration begins at 8:15am, October 20. Please arrive early. Some program changes are possible. Follow AASCEND on the web and Facebook! 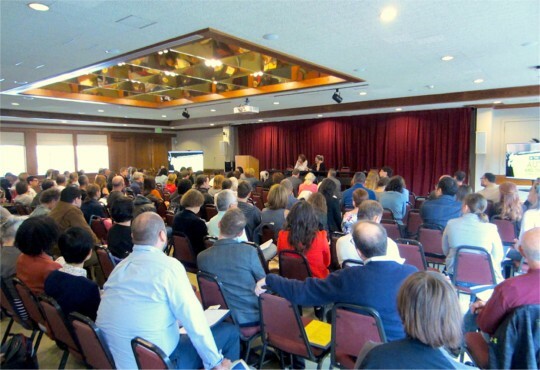 While this conference primarily addresses the needs of what have been termed Asperger’s or High Functioning Adults on the autism spectrum, AASCEND expresses solidarity with all who are living anywhere on the autism spectrum, their families and allies. Out of respect for attendees with sensory sensitivities please do not wear perfumes, colognes or overly scented products to the conference. Thanks! 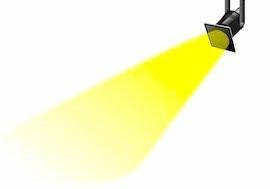 AASCEND gratefully acknowledges the Joseph Padula Trust for its support of the In the Spotlight conference.